← Top 10 Museum Heist Movies • Now with Bonus Material, Lego Heist Film, and More! Apollo (in a tattletale’s smug lilt): Yo Vulcan, Venus is cheating on you with Mars. 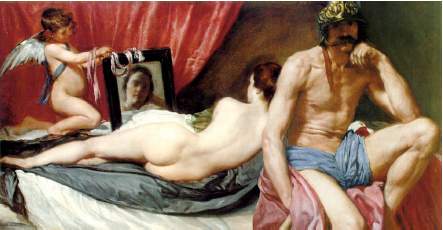 Mars: Oh Venus, that’s my p***s! Mars and Venus (in unison): Doh. 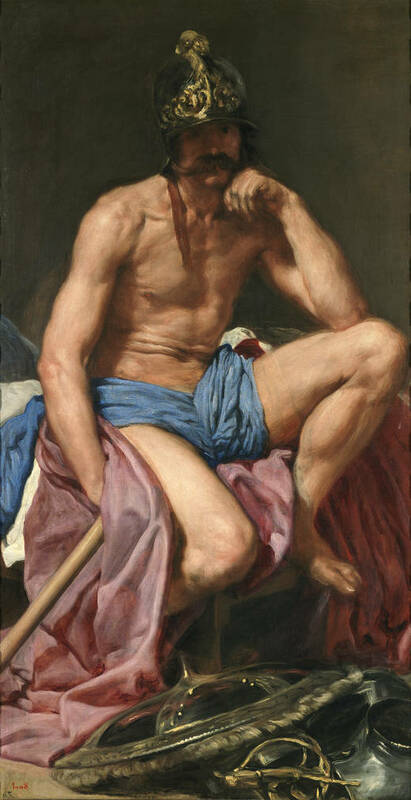 “Velázquez’s Mars Resting has provoked new thought about this adulterous god. Is Velázquez eating his brazen words about painting only course people and avoiding the more “important” subjects? Indeed he is not. He has taken history painting on in his own way. 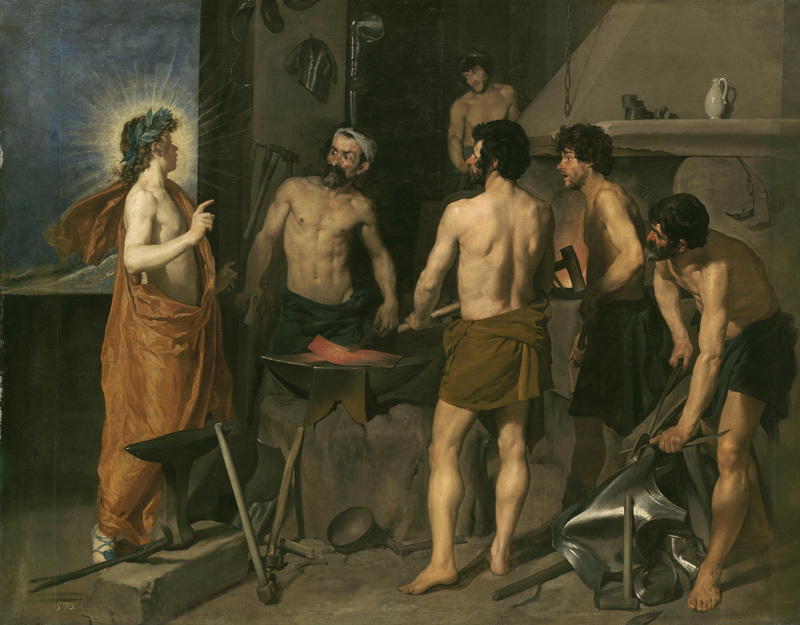 This entry was posted in Art History and tagged Apollo in the Forge of Vulcan, Art History, Diego Velazquez, Mars Resting, Rokeby Venus, Spanish Art, Spanish Golden Age, Velazquez, Venus at Her Toilet. Bookmark the permalink.